Reservations go live May 1st, 8:00 am each year! 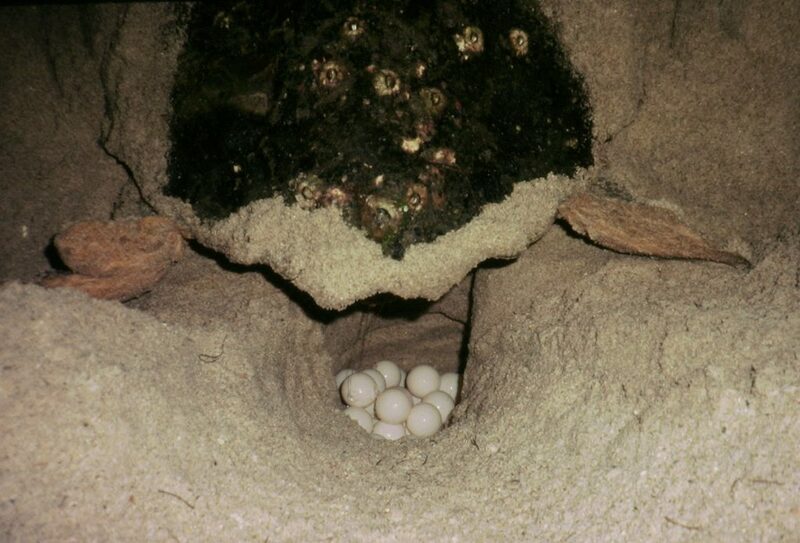 Turtle Walks are an amazing way to experience nature at its most primitive. 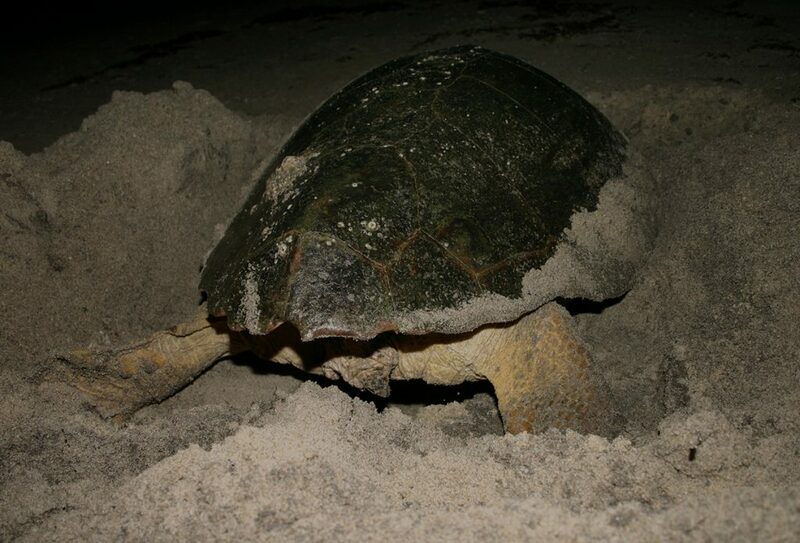 Participants have the chance to view the egg-laying process of a loggerhead sea turtle while learning about their conservation. While the group enjoys an informative lecture about sea turtles, trained biologists will patrol the beach in search of the turtle. 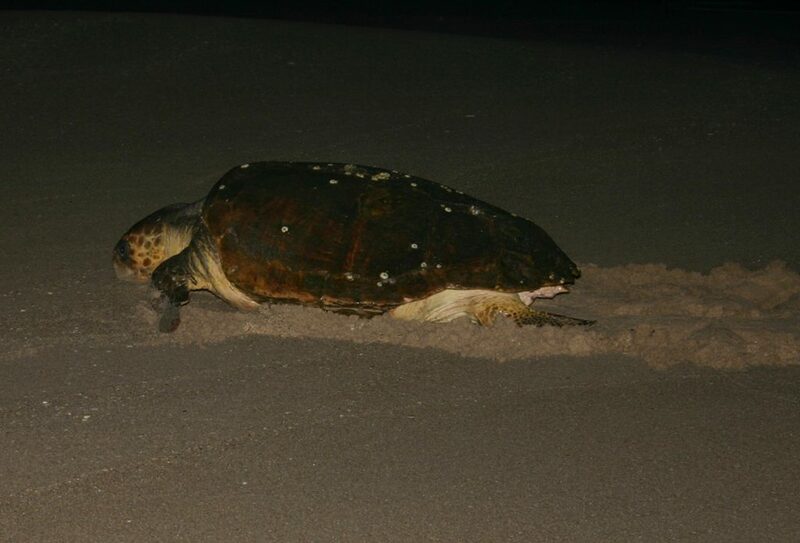 Programs begin promptly at 9pm and can go until we spot a turtle laying her eggs. 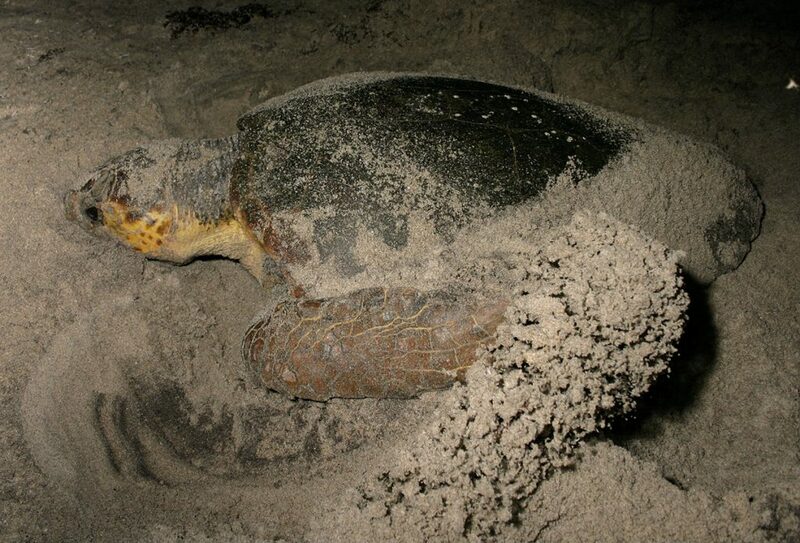 If a turtle is not spotted by 11pm, we call it a night. 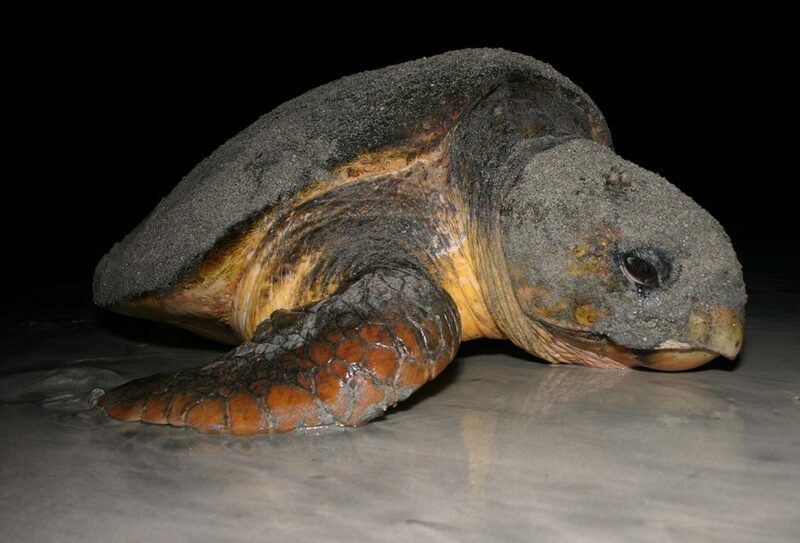 There is no guarantee that a sea turtle will be seen by the group. Guests must be able to walk up to a mile on the beach. Program occurs rain or shine. Participants should expect that the program is being offered regardless of weather unless they have received a call prior to the program. You must receive an email confirmation to be registered. No flashlights, flash photography or cell phone photos are permitted on the beach. Please look at the amount of tickets available for each night. Please do not register part of your group in hopes that more will be available upon request. For questions about the program or your reservation, please email Rebecca Mott at rmott@inwater.org.